Money Squandering or Money Laundering? What would you call it if I offered you a handsome sum of money, like $billion$, to set up your business in Ontario? Perhaps you and I could call it ‘job creation’ to make it sound nicey-nice. Then what if I sweetened the deal by guaranteeing to buy ALL of your company’s production for the next 20 years? This is getting even better for you. But that’s not the end of it. What if I offered to pay you MORE than the normal market price for your product, AND guarantee to buy ALL your product whether I could use it or not? And to top it all off what if I offered to pay you for producing the product, even if you don’t produce it? Well most folks, including Samsung apparently, would call that a heck of a ‘sweetheart deal’. Except the taxpayers and the electricity customers. But you haven’t heard the best part of the deal. The real kicker is that in order to make this all work, the businesses that get this sweetheart deal will be ‘tempted’ to accept the politician’s invitation to dinner. The dinner is hosted by the Liberal Party of Ontario. So what, you ask? Well you can be sure that this is a wonderful dinner … and the tickets cost $5000.00 each! Who else would be at a high priced table such as this? What do you want to bet that other ‘guests’ at these dinners include pals from ORNGE, E-Health, Ontario Power Authority, OLG, Education Unions, and of course our friends in the Aggregate industry? 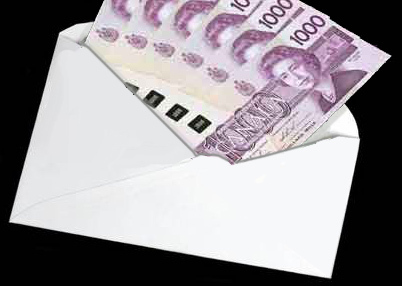 Don’t you think that for the sake of transparency, all dinner ticket purchasers should be listed on a web site for the tax payers of Ontario to see who is benefiting from your taxes, and in turn purchasing influence in our Province? All that money goes to finance election campaigns. And as long as the money keeps flowing in the circular route described above, and these sorts of politicians keep getting elected, everyone in the ‘laundry’ is happy. … Unless you are ‘just’ a hard working taxpayer. Next postFraud and Deception in Disneyland? 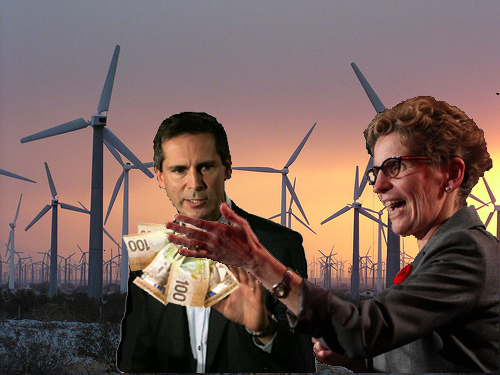 Good Post!………………..every time I open my Hydro Bill I see McGuinty and Wynne’s face on it laughing at me! Don’t forget that the provincial government can also give special access to/discounted rates for electricity (eg. currently under negotiation with Cliffs Natural Resources re: extracting from northern Ontario’s Ring of Fire). Big $$$.